The Middle East’s tourist boom shows no sign of slowing – as new figures reveal the region has overtaken Europe in regard to the number of new hotel rooms in the pipeline. According to ‘The Middle East Hotel Construction Overview’ report by Tophotelprojects – prepared ahead of this year’s editions of The Hotel Show Saudi Arabia (April 10-12) and The Hotel Show Dubai (September 16-18) – the Middle East is set to add 238,963 new hotel rooms to its current supply, the majority of which will open in the next five years. There are 214,743 guest rooms set to open in Europe, putting the Middle East ahead of its neighbouring region – despite Europe having more new hotel builds in the pipeline. Ray Tinston, portfolio director of The Hotel Show events, said: “This new report reveals the extent to which the room to project ratio for Middle Eastern hospitality projects is considerably higher than average. 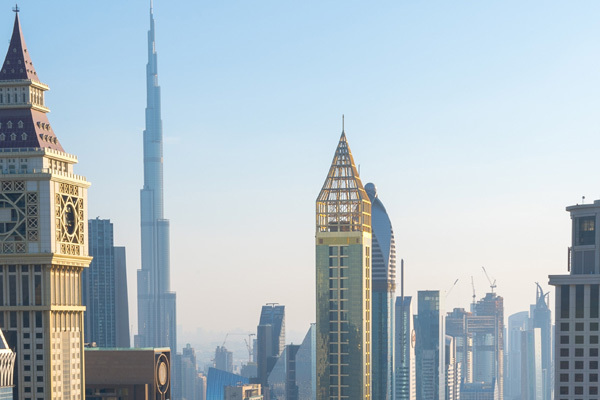 The UAE (222 projects/126,576 rooms) and Saudi Arabia (143 projects/55,810 rooms) are the two most active countries for hospitality development in the Middle East. An even clearer indicator of continued growth for the region is its having more hotel rooms on the way than South America and Africa combined. The region’s strong placing is being attributed to substantial growth across its major countries. Saudi Arabia, for example, is in the midst of widespread change in line with the governments’ Saudi Vision 2030 – with a focus on improving its position as a destination for tourism. Mövenpick Hotels & Resorts currently operates 11 hotels across Saudi Arabia and has five hotel projects under development in its major cities of Riyadh and Jeddah, Al Khobar – popular with leisure tourists with its coastal location – and industrial city Wa’ad Al Shamal. Marc Descrozaille, president Middle East & Africa, Mövenpick Hotels & Resorts, said: “Saudi Arabia is not only home to the Gulf’s largest population, with more than 33 million residents and a robust domestic tourism market, but has become the focal point for government and international investment, based on economic diversification plans designed to secure its long-term prosperity. The Hotel Show Saudi Arabia 2018 is set to return to the Jeddah Centre for Forums and Events next month (April 10-12) for its sixth edition, with highlights including its highly anticipated ‘Inter-Hotel Culinary Competition’ endorsed by WorldChefs, The Saudi Arabian Chefs Association and Culinary Partner, Unilever Food Solutions. Hundreds of global brands will showcase the latest products and services designed for the hospitality industry from interiors to technology to thousands of hoteliers and restaurateurs in the kingdom.